turning sheets into curtains | i made it so. i finished those curtains i mentioned previously. 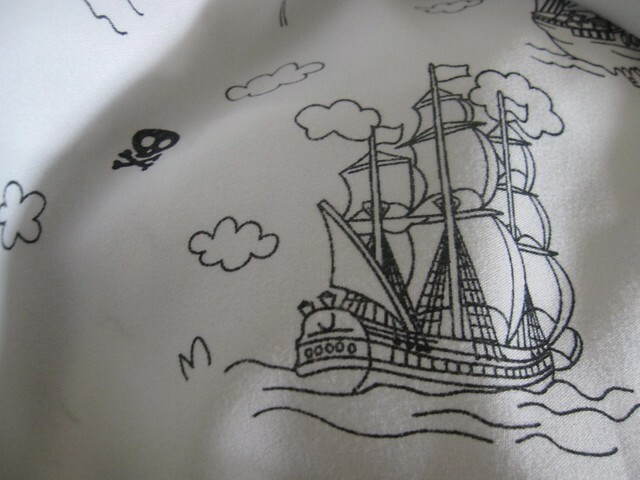 the fabric was from a set of sheets with a cute pirate ship motif. it turns out that the twin sheet cut in half lengthwise and hemmed along that same length results in a pair of curtain panels that are the perfect size for the bedroom window. i didn’t have to hem the bottom or top of the curtains. i hung the fabric using those rings with clips on them. cheater! 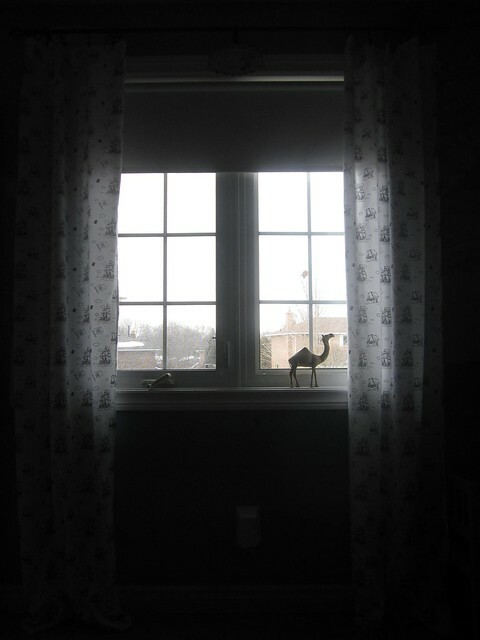 the boys’ bedding now matches the curtains, and i think it’s kinda cute. we have a pull-down shade for blocking the light (which makes no difference to their crack-of-dawn wake up time) so these curtains are purely decorative. i like how the light flows through them. 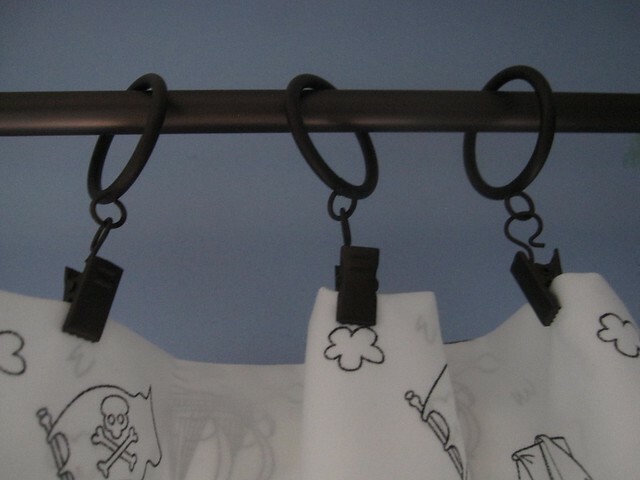 This entry was posted in around the house, ideas & inspiration, sewing & fabric arts and tagged curtain clips, kids' curtains from sheets, pirate curtains, rings with clips for hanging curtains, turning sheets into curtains. Bookmark the permalink. how funny, i just posted about making curtains the same week you did, and i also used the rings with the clips. not cheating, not cheating at all! good job!